We recently re-branded, Made for Drink, the exciting new Premium Bar snacks brand managed by The Artisan Food Co. Ltd. 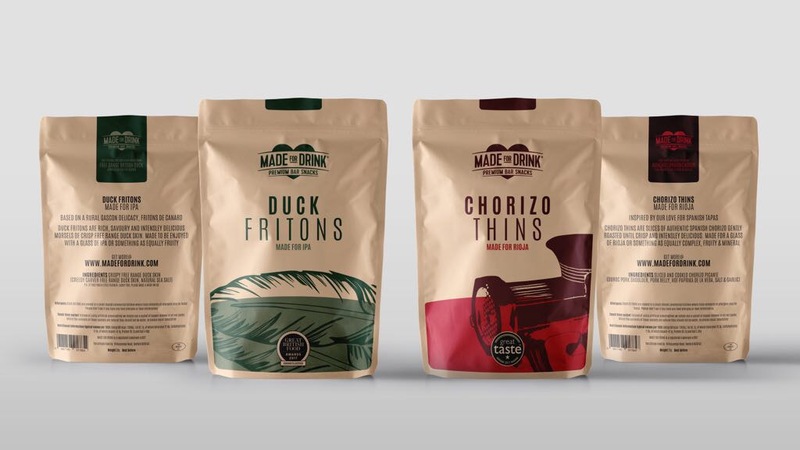 Currently, the Duck Fritons and Chorizo Thins will carry the new heart inspired logo, designed to represent the perfect pairing of the product with associated drinks. Later in the year, 2 further products will be added to the portfolio and they are set to feature at the Observer Food Awards 2017. Both products are available to buy online at www.madefordrink.com, Fortnum and Mason, Heston Blumenthal’s The Crown at Bray and Rick Stein’s.